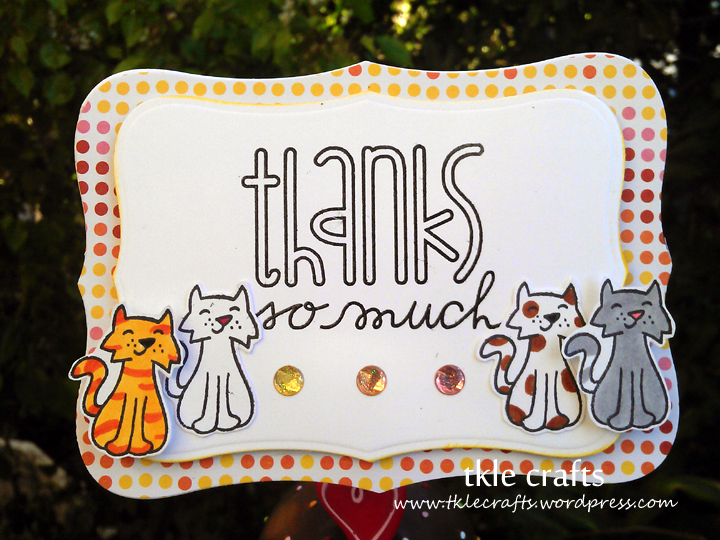 Thanks from your favorite neighborhood cats! 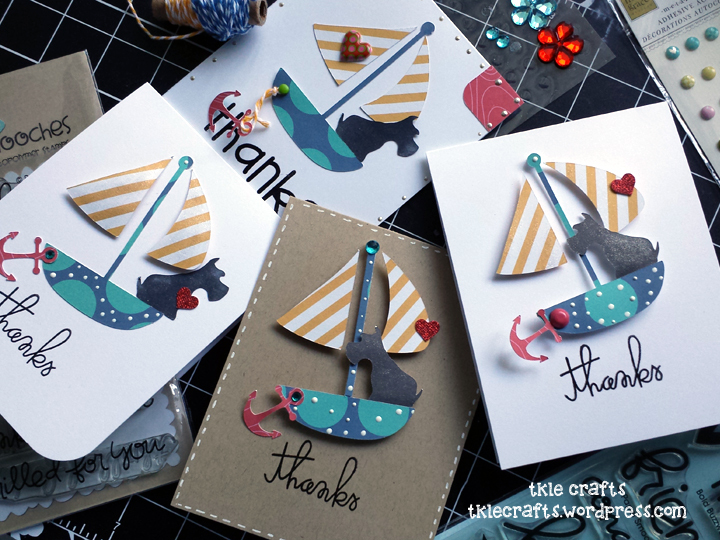 A request to make a thank you for a cat-lover. 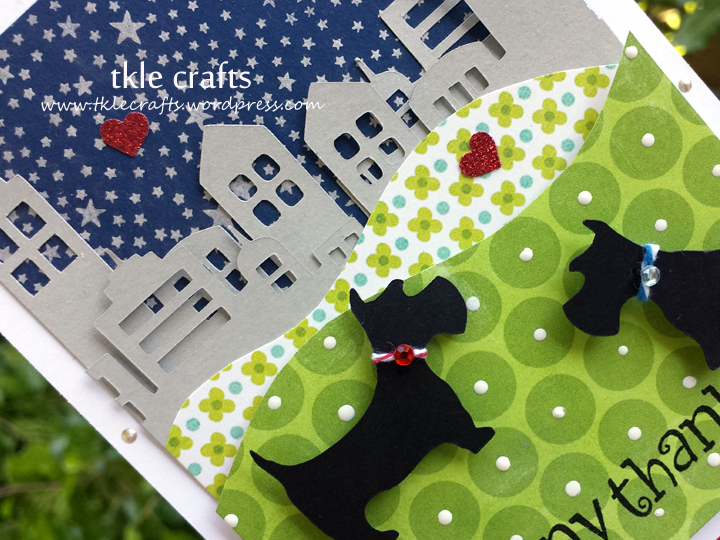 I really love the polkadot background paper that I used as a border. 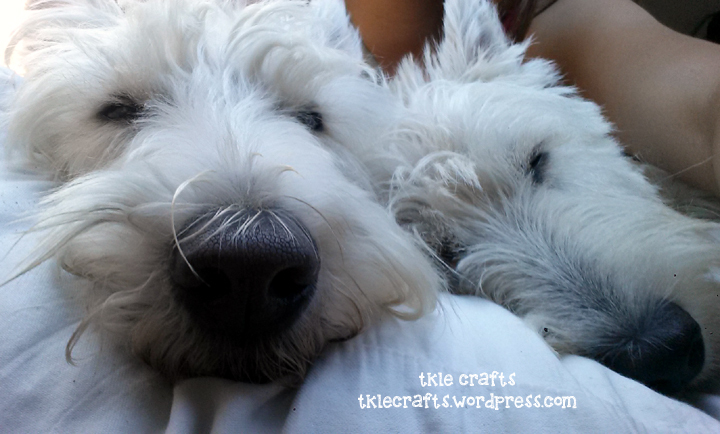 It really gives a pop of color to our furry little friends! 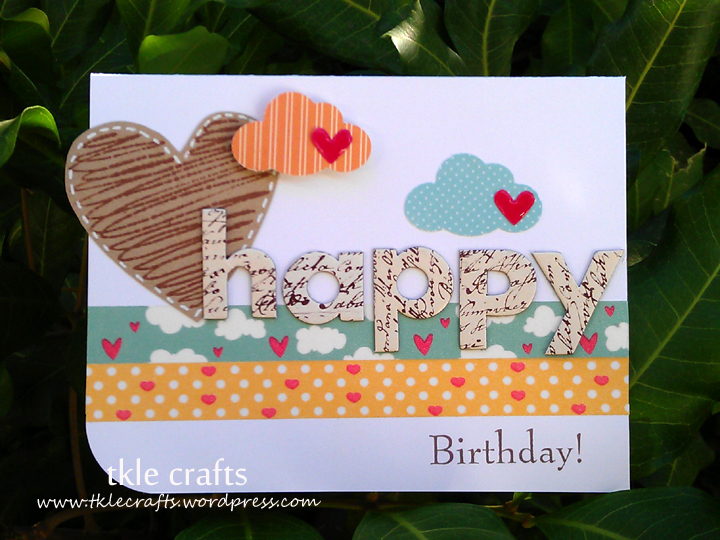 Recipe: CS from PTI, Lawn Fawn Burbs stamp set, Papersmooches sentiment, Spellbinders, and Bling. 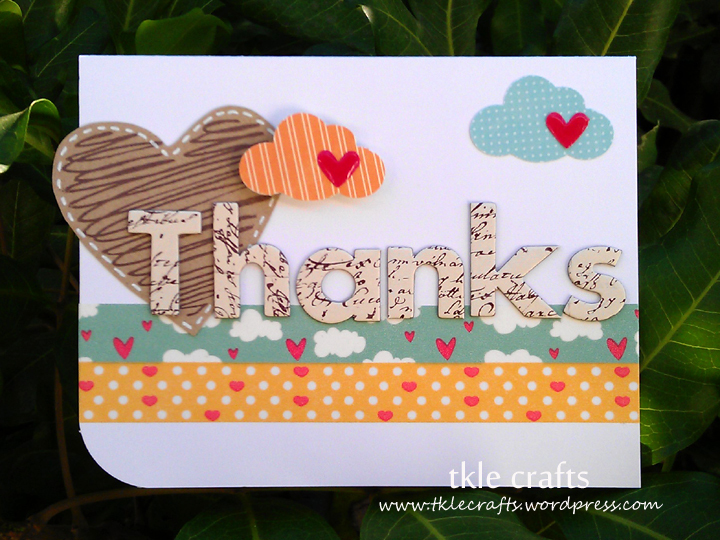 Chipboard Alphabets Letters – I heart you! 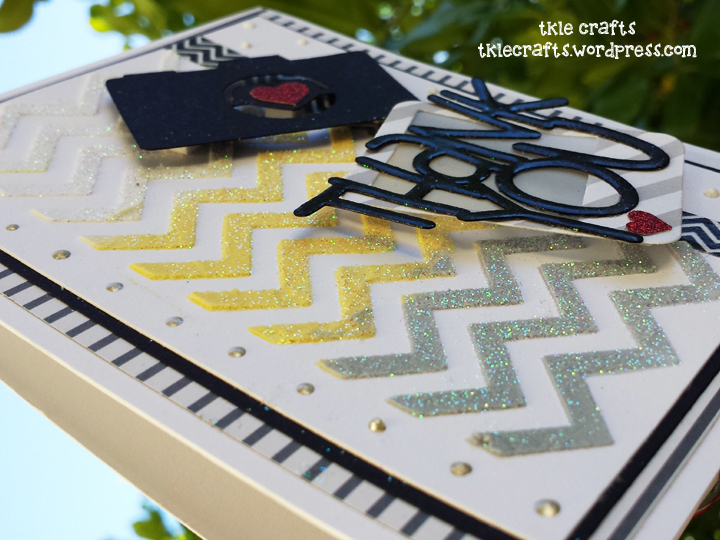 So I’ve had these chipboard alphabets stuffed away in my stampin’ stash for a while (at least a year) and I finally decided to use it! I love these alphabets! Soooo adorable! 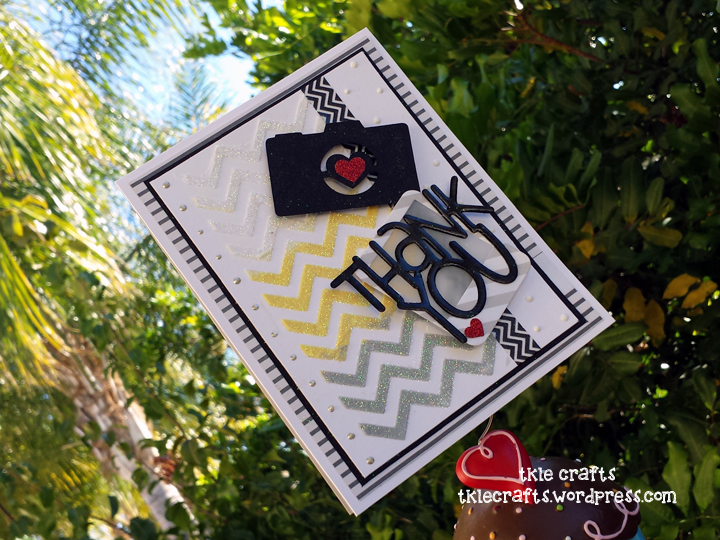 Recipe: PTI cardstock, Washi Tape, Chipboard Alphabet Letters, Heart stamps, White Gel Pens, Ek Success Cloud Punch, Heart punch, corner punch from Martha Stewart. 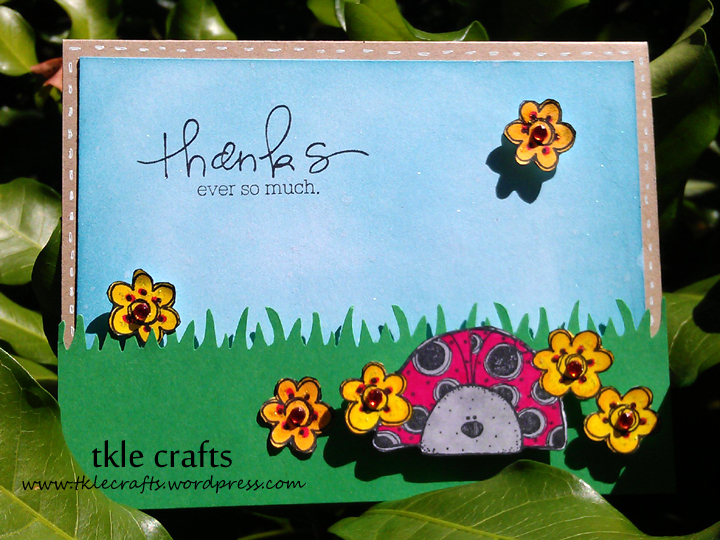 Thanks from not just any bug but a cute lady bug! My best friend took me to a wonderful stamp store and we found this absolutely adorable stamp! The grass looked a little empty so I added pebbles in the second photo and I like how it turned out. For some finally touches I used stickles and bling for each of the flowers. I also sprayed the sky with shimmer sparkle spray but it’s hard to tell from the picture! Recipe: CS from PTI, Grass punch ek success, ladybug stamp from Whipper Snapper Designs, Copic Markers, Stickles, Bling, Tim Holtz Distressed Inks, White Gel Pen, Shimmer sparkle spray. 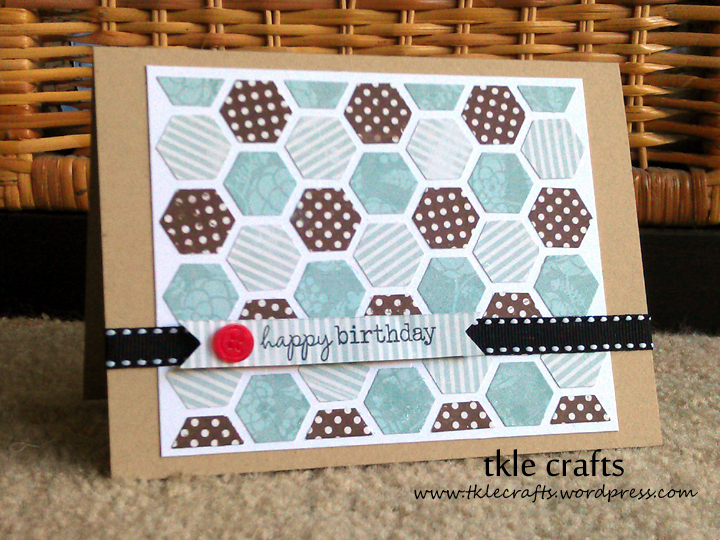 Here are some cards I made with these awesome Hexagons! 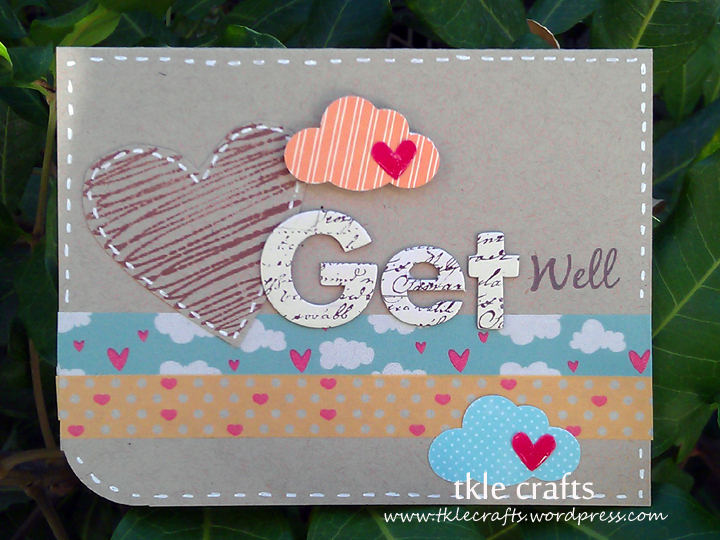 I love this die cut because there is so much you can do with it! 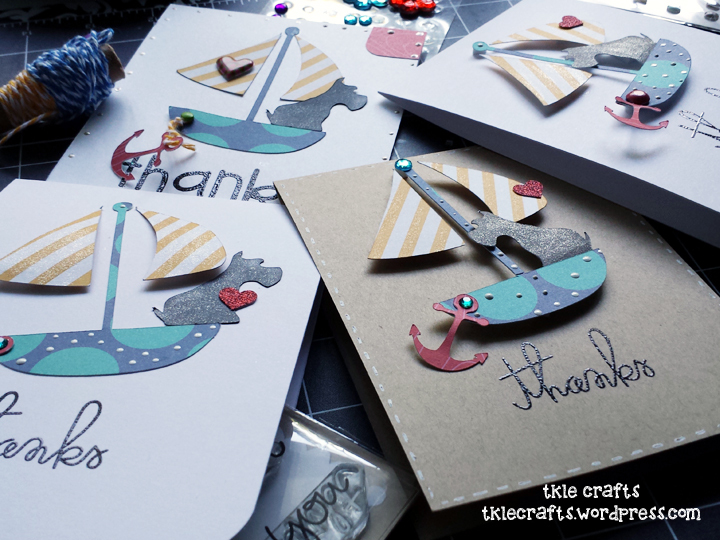 Recipe: CS from PTI, hexagon Die cut from PTI, Ribbon, Buttons, Stamps from PTI and Waltzing Mouse, Scrapbook paper from SixbySix.